This qualification is designed to meet the needs of builders, including selecting contractors, overseeing the work and its quality, and liaising with the client. The qualification is aimed at the open, or multi-storey, building sector. It is also a requirement for a Queensland Building and Construction Commission (QBCC) Builder - Open licence. For more information on this licence, click here. The qualification also meets the needs of senior managers within building, construction and services firms typically working in larger organisations and managing more complex projects and processes. To successfully complete this qualification, you are required to complete ten (10) units of competency. The ten units comprise four (4) core units and six (6) elective units. The units of competency, shown in the next tab, have been selected by PCD Training based on the course purpose. Please note: Other elective unit available is BSBMKG609 Develop a marketing plan. You will need to apply for entry into this course, this is done by completing the skills assessment document found at the end of our brochure. 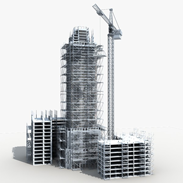 Having completed a CPC50210 Diploma of Building and Construction (Building) is preferred. However, you will need a sound working knowledge of basic maths, e.g. addition, subtraction, division and multiplication and be able to read, write and understand standard English, similar to what is used in this information.